I need to stay in touch with old friends as well as meeting new ones, so the first section of this page is just about that. Anyway, you may find these subjects more interesting. PETER MARKEY - ARTIST! I've got 3 cut-outs for Peter Markey! PATRICK JAMES GYGER! I had a big Exhibition in Switzerland! 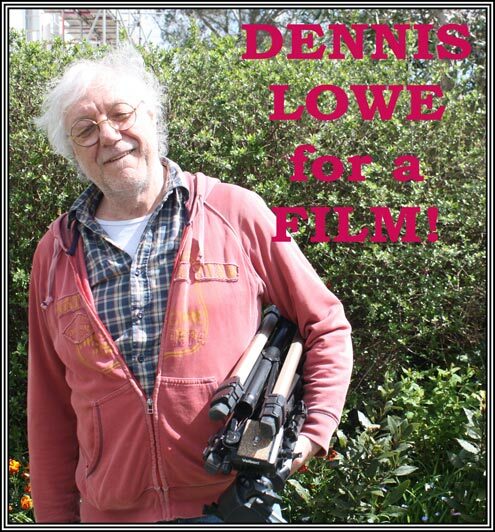 DENNIS LOWE He was doing things for a FILM for me! My "CRAP"- Ha ha! 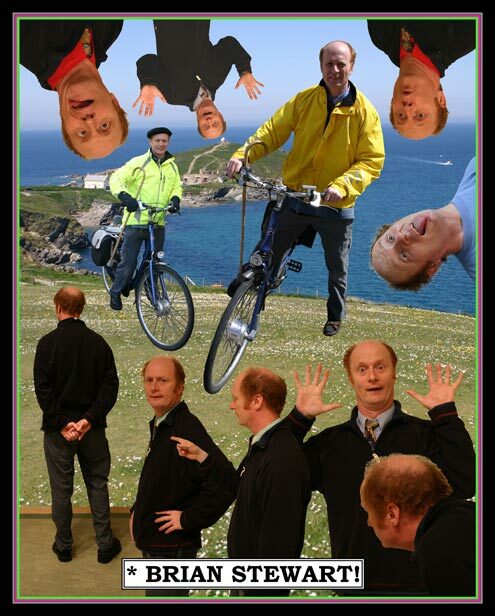 BRIAN STEWART was in charge of Falmouth Art Gallery and he died after his bike! PAUL SPOONER did lots of things for the EDEN PROJECT, also FALMOUTH ART GALLERY! LINDSAY BRUNTON came to my house at Saturday (28.01.2012) and he likes my "CRAP"! Ha ha! On lots of days in the morning, I go to Saint Mary's Catholic Church at about 07h.00. It's dark when I'm there, and Fr. JON BEILAWSKI always says this: "Hello Patrick!". On my walks, I always think about GOD and JESUS CHRIST, so that makes me very very happy! I had a big exhibition at "Falmouth Art Gallery" when I was 65 in 2005, but after that almost all the people who work there know me. They are all good friends! 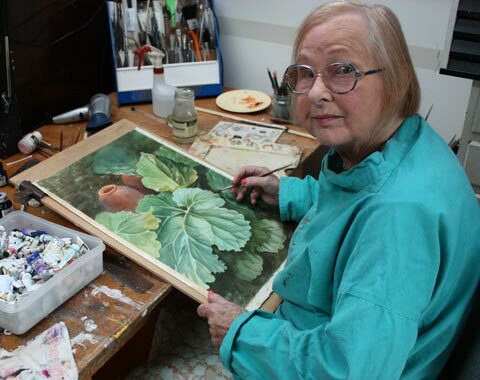 BRIAN STEWART died in December - 2010, so in July this women LOUISE CONNELL was in charge of Falmouth Art Gallery!. 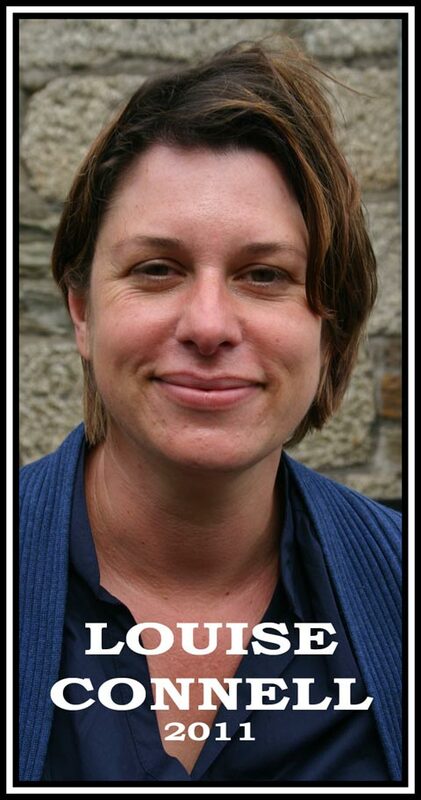 Brian Stewart was in charge of "Falmouth Art Gallery" but he died in December - 2010, so LOUISE CONNELL is in charge of Falmouth Art Gallery!. 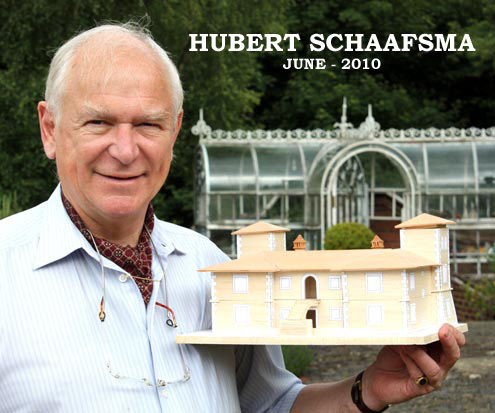 This is the man Hubert Schaafsma that I visited in June 2010, my second puplisher working with Roger Dean for "Dragon's World" and "Paper Tiger" . 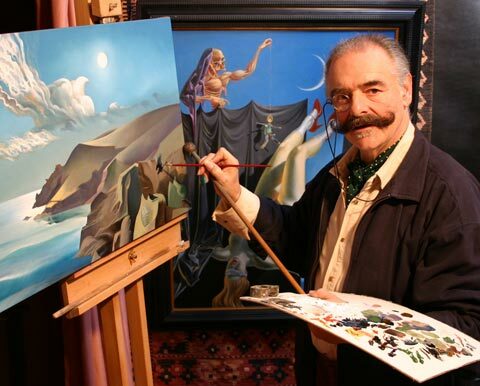 This Greek fantasy artist CHRISTOS ACHILLEOS is a man who lives in the north of London and I've known him for about 30 years. 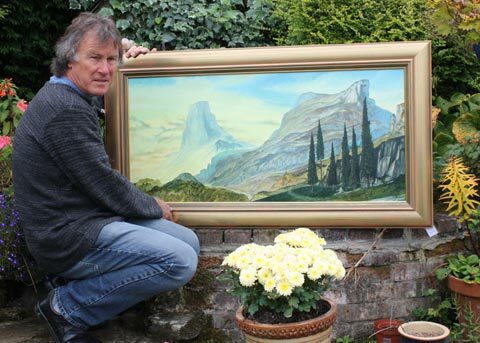 The Danish fantasy artist CLAUS BRUSEN and his wife Sannie first came down to Cornwall to meet up with me and buy a few originals. This new friendship has had a huge effect on my recent life. So much enthusiasm and friendship really motivated me to get on with what I always referred to as "real work", i.e. painting! 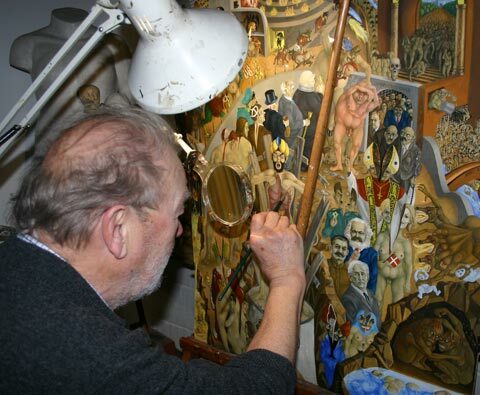 So, here's a recent image of CLAUS BRUSEN at work in his studio. This photo that I took while I was up in Denmark with Claus, now seems very appropriate. Yes! 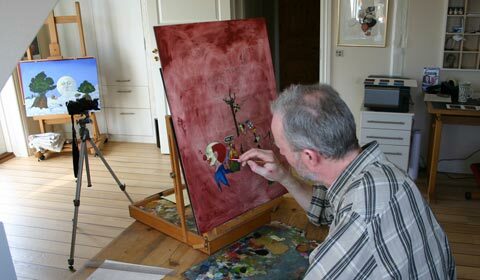 He bought a lot of my work, but recently, when he went back to Denmark, he had some real flight problems. Anyway, he did get home safely, so I gave this photo a name - "Claus Flies North". 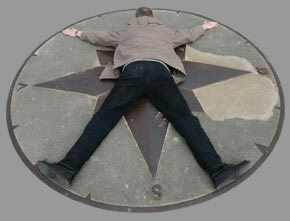 Not many people are tall enough to lie on that Danish "Compass"! It fits in with a very old drawing... I'm sure everyone knows which one I'm refering to. 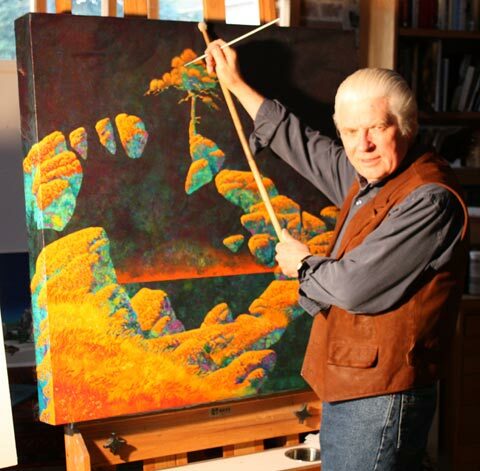 This English fantasy artist ROGER DEAN was the first publisher of my first big book "Mythopoeikon" in the 1970's. I have known this artist ROGER GARLAND since the 1970's. This one is LINDA GARLAND the wife of ROGER GARLAND and I've known her since I was teaching at Falmouth School in 1970. 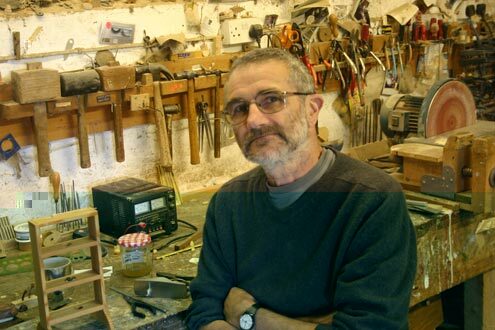 SETH GARLAND in the son of ROGER GARLAND and I saw him at their exhibition at Bodmin a few years ago. 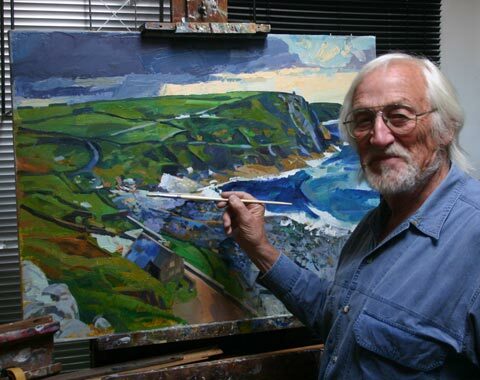 This is the Cornish artist Francis Hewlett I've known since the 1960's and I visited him in his house in March 2009. He has died on this year! 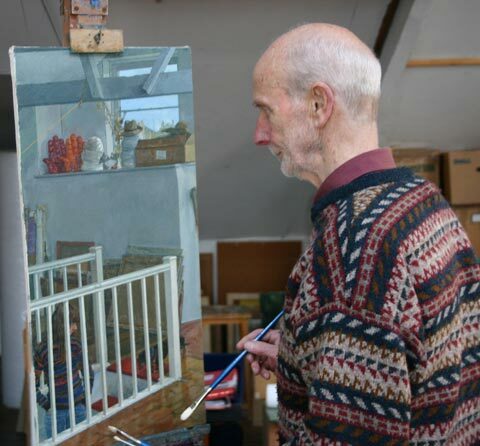 This is the Cornish artist Jonathon X. Coudrille I've known since the 1970's and I visited him in his house in February 2009. This artist John Raynes is the one I've known since the 1970's. 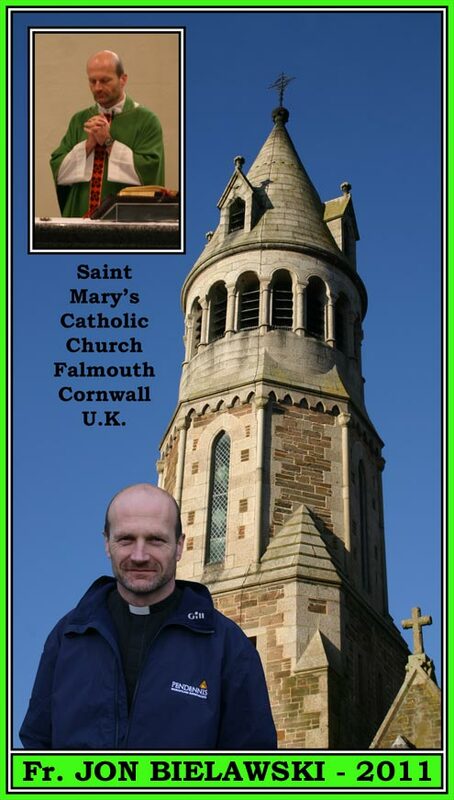 he lives in Falmouth, Cornwall. 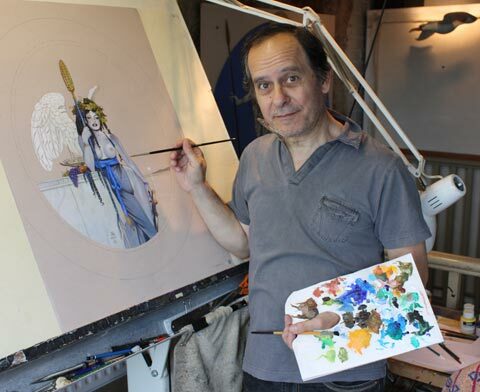 I have known the artist José Roosevelt since about 1992 and I saw him at Lausanne in December 2008. I knew GILLÉAN WHITAKER when she lived in Falmouth and I was the teacher of French and German. 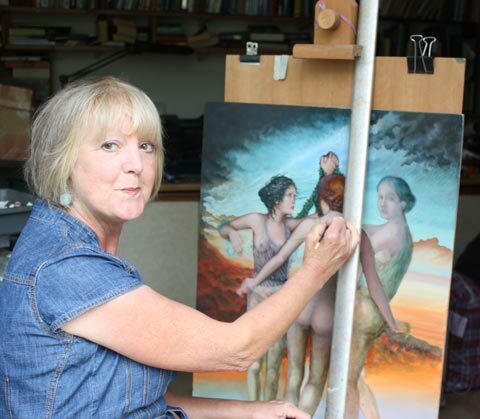 When I went to the exhibition "The Truth About Faeries" at Southampton City Art Gallery in June 2009, I stayed overnight in her house not far from there. I wasn't allowed to pay for that "Hôtel" - ha ha! I saw CARSTEN SVENNSON in Switzerland, Gruyère Castle, also in his house in Denmark. He is now died! 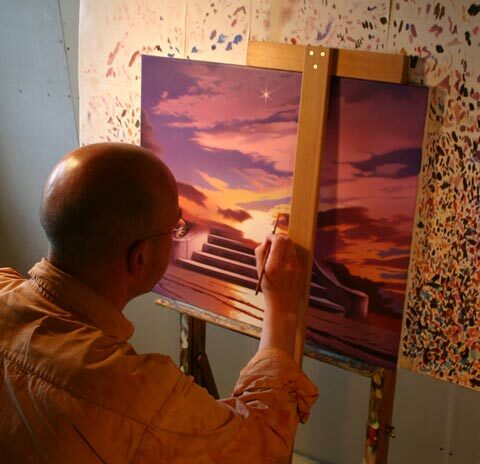 Now in Denmark another Danish fantasy artist DANNY EVO HEINRICHT making pretty pictures including the BRIGHT SUN! These are three good artists that I saw at the exhibition DANTE DIVINE COMEDY in Saeby, Denmark June 2009. 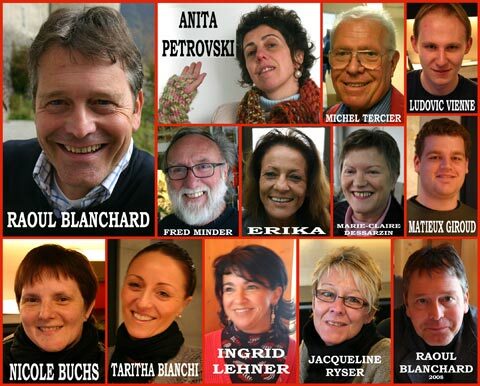 I have lots of good friends that work at Gruyères Castle in Switzerland. 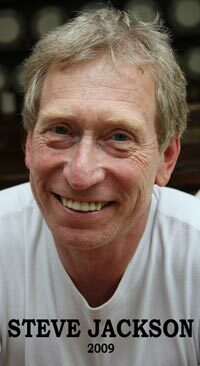 The man in charge is RAOUL BLANCHARD. 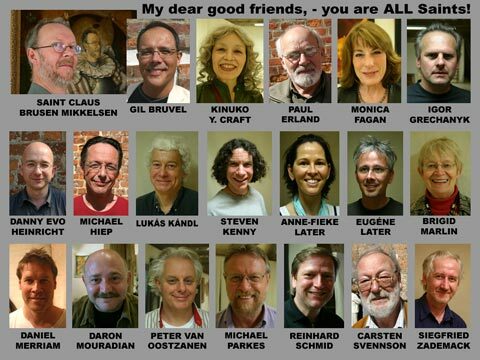 One of the main news for 2007 was that when I was at Saebygaard Slot in Denmark contributing to the "VENUS" exhibition, all the artists became friends! 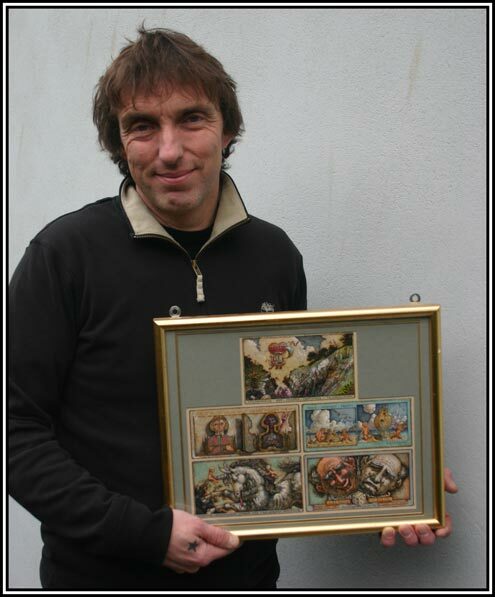 Claus Brusen, who organised the exhibition, had recently received a portrait from the artist Daron Mouradian (Armenia). He added "Saint" to Claus's name. So, they all did feel like saints. 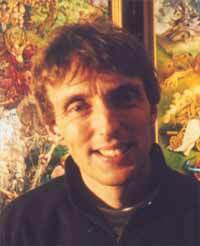 I worked with STEVE JACKSON for several projects, so his name is included in my book "Benign Icons". 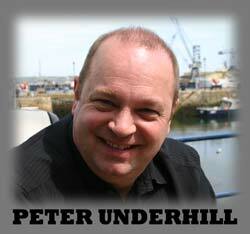 This clever writer and artist PETER UNDERHILL came down to Cornwall to meet me recently. Not only did he buy some of my things... he also gave me a signed copy of his clever book "DENNIS", a talent I never have had. Several years ago a Scotsman known as "Dougie the Dog" came down to Cornwall just to meet me for an hour or two and buy a few things, which went well for us both. Then Lindsay Brunton, who lives in the same area, did a similar thing in 2003, very keen to add to his collection of etching proofs, etc. An amusing experience for us both, neither of us disappointed. Lindsay first spent £500, very pleased with his new possessions, but soon he shall be down to visit me for the sixth time! 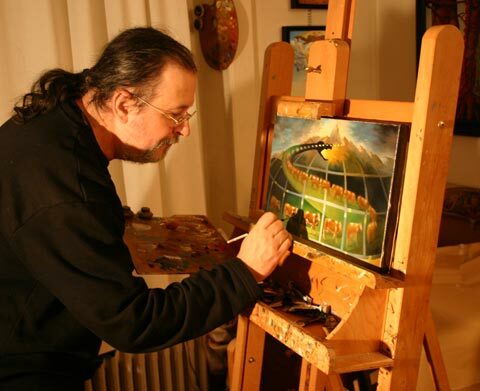 "Patrick's vast array of creatures and landscapes transcend the boundaries of fantasy art because you really want to believe that they might just exist! Patrick's artwork is like no other in his supposed genre. The highest compliment I can think of to compare it with would be Lewis Carrol's Alice in Wonderland. What can I say? I've been down to visit Patrick four times, and each visit grows more memorable and warmer that the last one. Being in his house, seeing the originals and getting to know Patrick personally is a truly heartwarming experience." So, contact me by e-mail and make some arrangement. If you get no reply immediatlely, then remember that I could be too busy or away from home. I am willing to spend a whole day with a new pal - chatting, showing originals, etc. - but I need to ask for a minimum of £500 to be spent. There could be only one day available each week, but quite often, when I am hard at work, there may be none at all. The other Patrick Woodroffe is a well-known lighting expert dealing for example with tours by the "Rolling Stones", the lighting for the "Millennium Dome" and for Queen Elizabeth's Jubilee at Buckingham Palace. But he has more than one middle name - John Dobrée. We're good friends and find the same name rather amusing, especially as we often get congratulated for something we've never done, something the other one did. 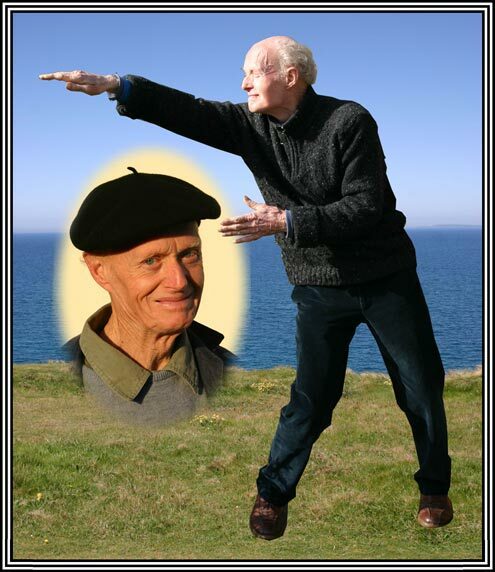 Contact Patrick John Dobrée Woodroffe via his website. Here's a list of artists I know personally, their style not exactly similar, but the subject matter being fantasy rather than reality. I admire their talent and recommend access to these websites. 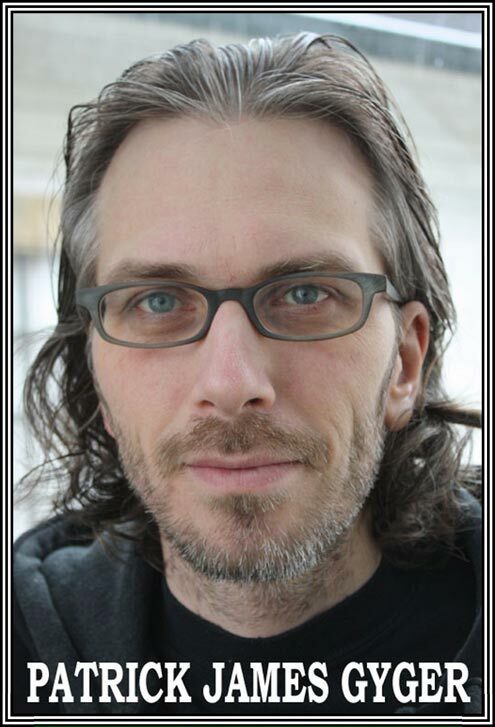 And, if you're interested in other talents, talk to Grant Bucknell, Patrick's collaborator in production of this website. 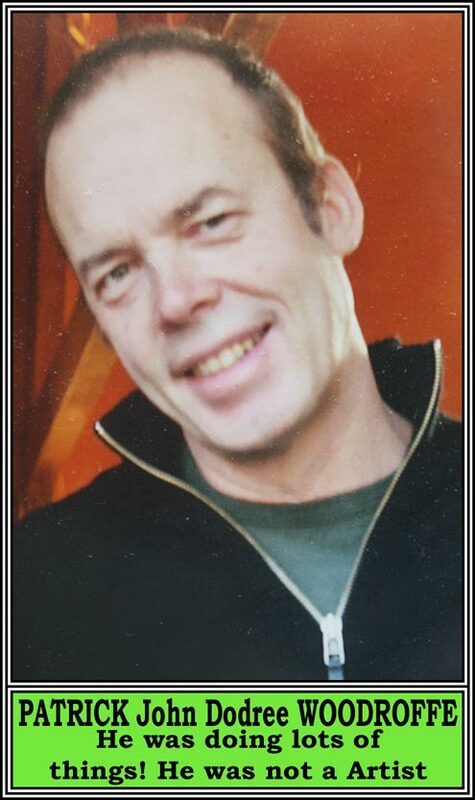 Grant is an arts/music industry agent and promotor who works with some of the world's top blues and roots artists, so just contact him via his e-mail address.